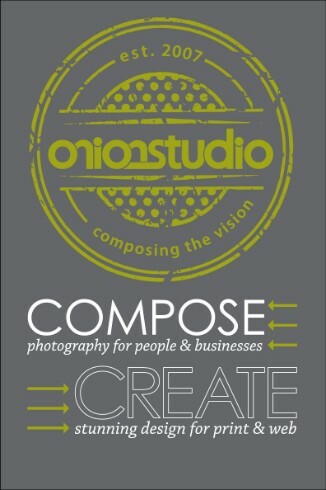 I just wrapped up designing T-Shirts for the three of us at Onion Studio. I gotta be honest; I have never seen myself as a T-Shirt designer. I've always been so intimidated by this facet of graphic design because I see so many awesome T-Shirts. I find myself thinking "How clever; I would never think of that." I really wanted to get past this block; so I started working on this "Compose & Create" design as a fun concept for ourselves. 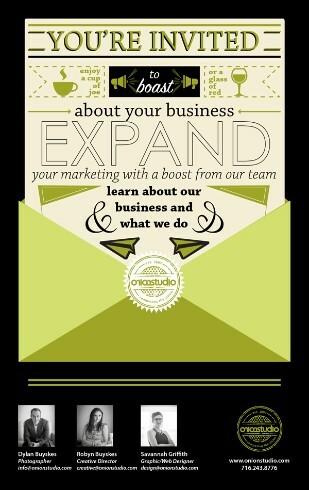 I actually used a previous design I worked on for an E-Blast we did back in February for inspiration. I love the outlined font, so I started there. 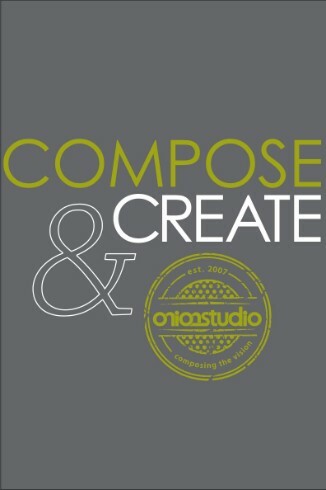 I think the shape of the "C"s in "Compose" and "Create" really emulate the Onion Studio logo, so I started with the design on the front of the T-Shirt first. Ampersands are such fun glyphs to work with; it really came together pretty easily once I had the font nailed down. The back of the shirt was a little more tricky. I came up with lots of bad ideas before I landed on any elements that I really liked. I tried doing a lot of text right aligned to make a shape, then I tried designing individual shirts for each of us with some quirky fun facts (an idea both expensive & tragically executed). Finally, I narrowed down to what I really wanted to say and went back to my "Compose & Create" theme from the front. The message we really need to convey is that we are greater than a photography studio, we are also a design studio. When we photograph, we compose a shot with interesting backgrounds, angles and subjects; we try to compose a story with every photo. We also create lighting, backdrops and use posing to get really creative shots. When I design, I'm obviously creating artwork, but I'm also trying to compose a clear message using graphics, images and text. With this in mind, the back of the shirt came together much easier for me. KISS, or, Keep It Simple, Stupid, is really the most solid advice you can give yourself when you're overwhelmed by a task. I'm really happy with the way the design turned out. We're getting the shirts printed soon, and I can't wait to see how they turn out. We'll be sure to Instagram once we're all decked out! 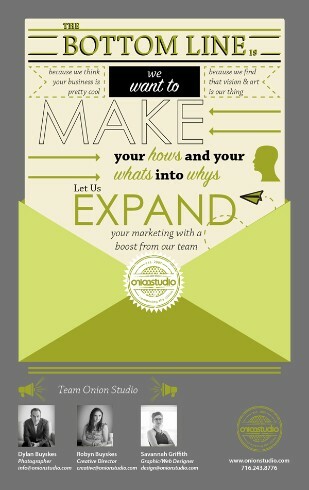 Graphic/Web Designer at Onion Studio.